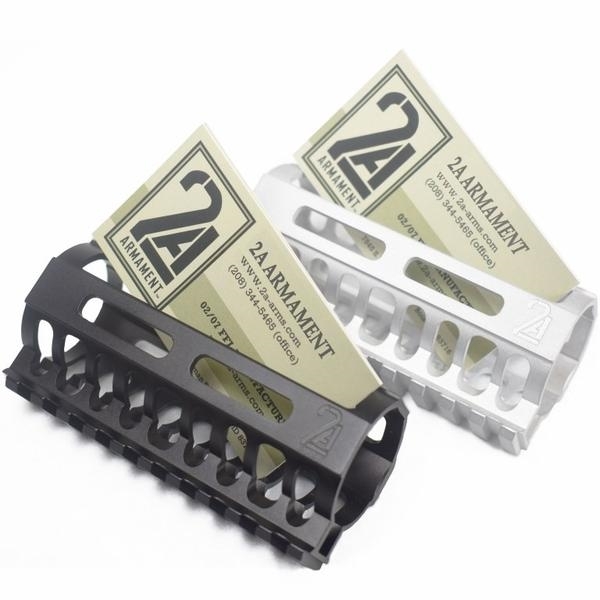 Want to take some 2A gear to the office? Here is a simple and classy way to display your business cards. These card holders are CNC Machined from the same extrusion used in our BL-RAILS. 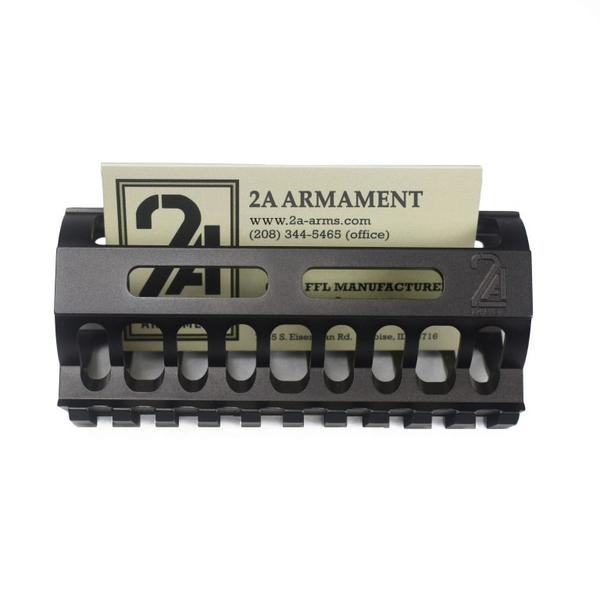 They incorporate the MAGPUL M-LOK mounting standard, and are available in bead blasted raw Aluminum (2A-CARDHOLD-W) and hard coat anodized black finish (2A-CARDHOLD-B). 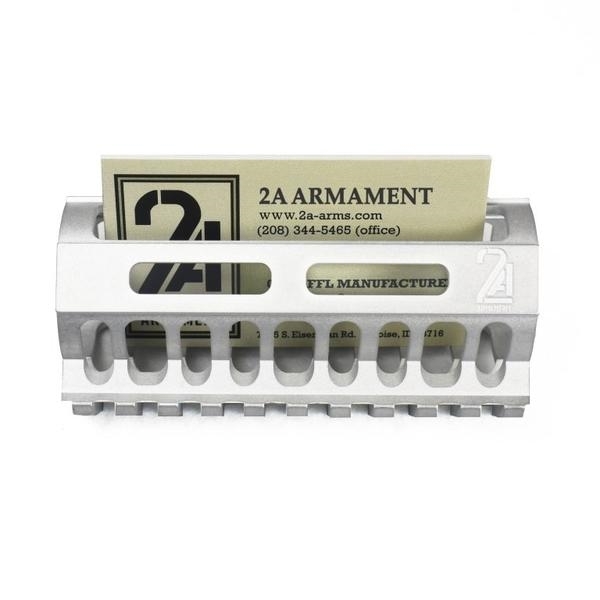 The 2A Logo is machined on the face to show your support.